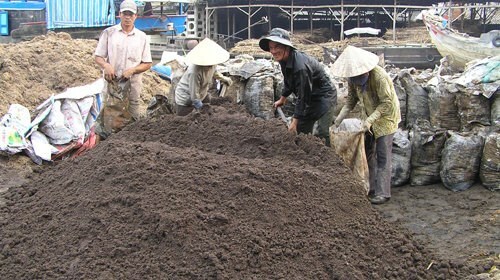 Tra Vinh (VNA) – The Mekong Delta province of Tra Vinh has licensed Hudavil Tra Vinh fertiliser joint stock company to build a plant producing organic-microbial and organic-mineral fertilisers from sugar press mud. Accordingly, the plant will be built at an estimated cost of 6 billion VND (264,000 USD) on an area of nearly 1.2 hectares in Xoai Thum village, Ngai Xuyen commune, Tra Cu district. The plant, which has a designed capacity of 7,000 tonnes of fertilisers per year, is expected to become operational later this year. Organic-microbial and organic-mineral fertilisers are used for sugarcane and some other plants to improve soil fertility and prevent cultivation land degradation. Producing fertilisers from sugar press mud will also ease waste burden for Tra Vinh sugar processing plant in Luu Nghiep Anh commune. The plant uses more than 2,600 tonnes of sugarcane per day for sugar production.